Our replacement fridge freezer (our third in this apartment) just made a mooing noise. For some reason fridge freezers don’t seem to like us, our previous two both decided to give up and defrost everything. 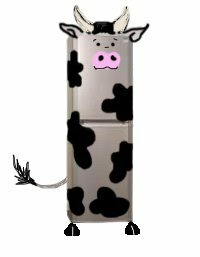 But mooing fridges are new… maybe we should take it out to graze.